boondi ladoo recipe | boondi laddu recipe | bondi ka ladoo with detailed photo and video recipe. 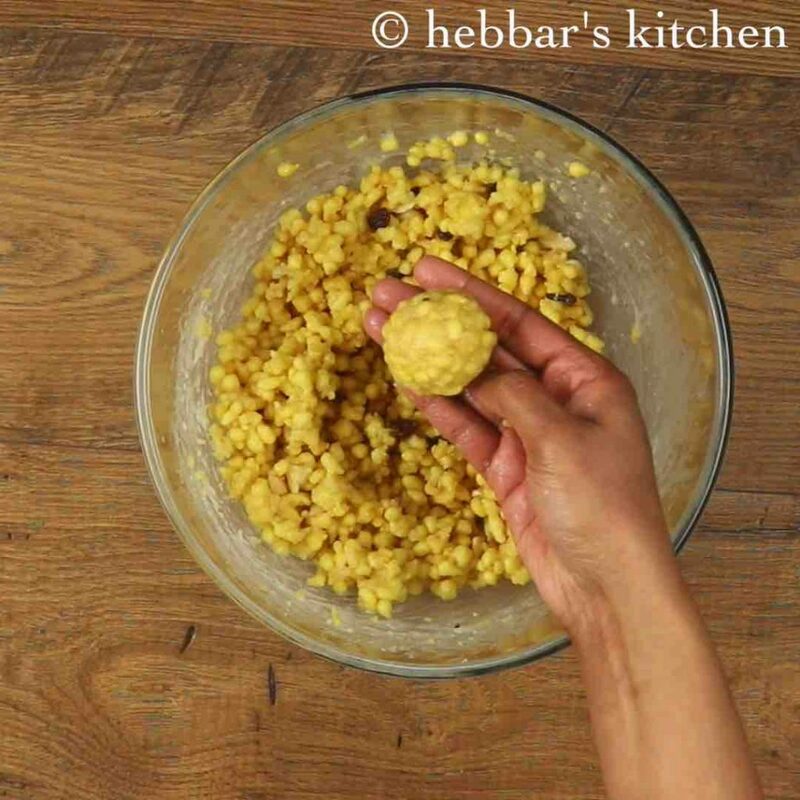 basically an indian sweet laddu recipe prepared from the boondi snack or besan or chickpea flour pearls. 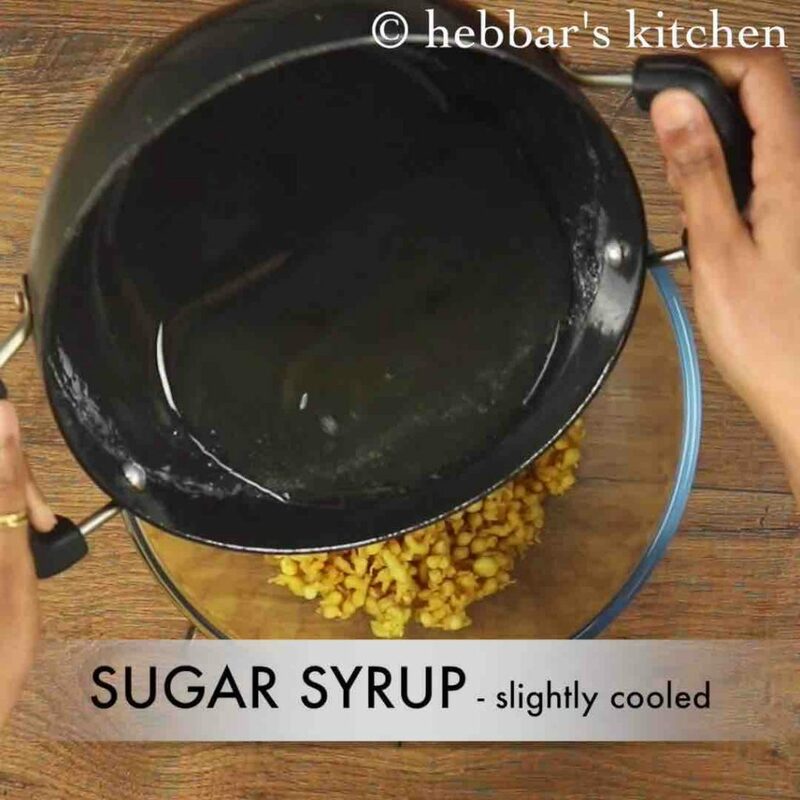 deep fried boondi pearls are soaked in a sugar syrup and shaped to round balls or indian ladoo recipe. 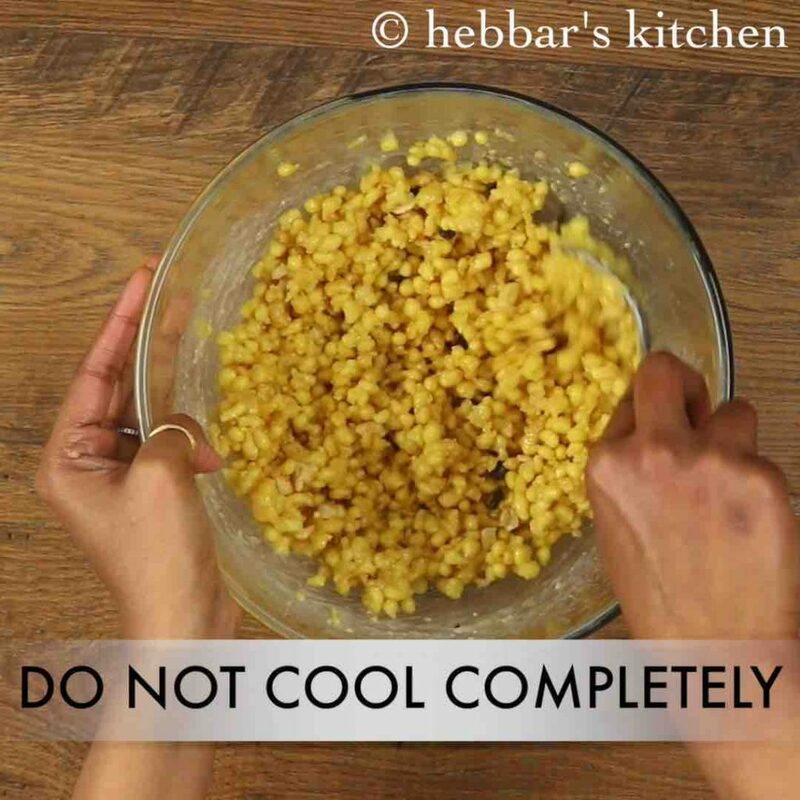 boondi ladoo recipe | boondi laddu recipe | bondi ka ladoo with step by step photo and video recipe. 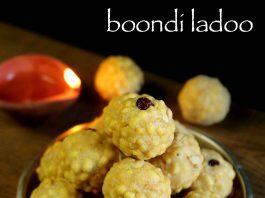 traditionally boondi ladoo recipe is prepared during festival seasons or for any auspicious or religious occasions. also, it is most commonly prepared during diwali festival celebrations or even navaratri festival. 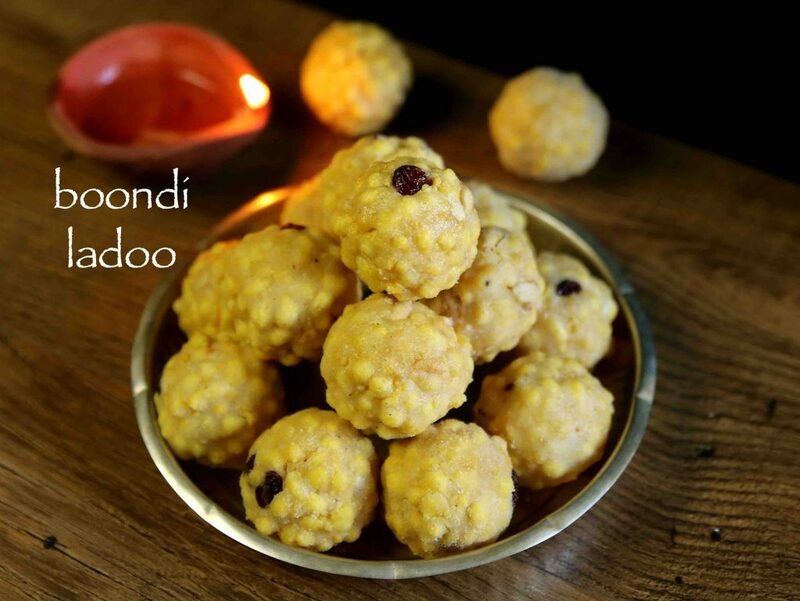 there are quite a few similarities between boondi laddo and motichoor ladoo with texture and sweetness. but is prepared totally with different techniques and instruments with different cooking procedures. 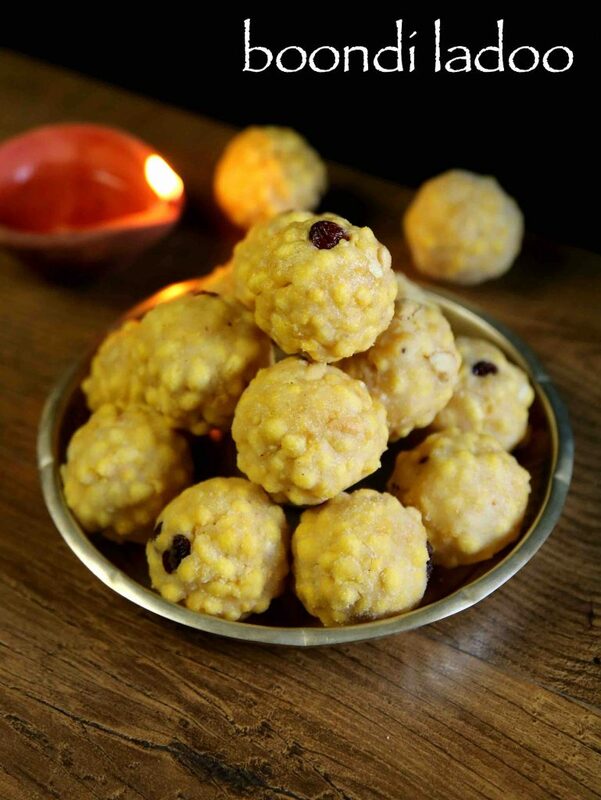 arguably boondi laddu is much easier and simpler recipe compared to the later one. and it can be prepared with readily available filter spoon or frying spoon. whereas for motichur ladoo there is dedicated filter which yields very tiny besan peals. later it is mixed with red colour and sugar syrup which is followed by shaping it to round balls. some basic and important tips and recommendations for a perfect textured boondi ladoo recipe. firstly, the sugar syrup consistency is very important in boondi laddu recipe. ideally one string consistency is suitable. but you can go for 2 string consistency for a harder laddu recipe. secondly, i have added yellow food colour for a yellow boondi laddo. alternatively green, orange colour or you can totally skip the colour. lastly while shaping the ladoo, if your sugar syrup crystallise’s than microwave it for 30 secs. firstly, prepare boondi from besan batter. 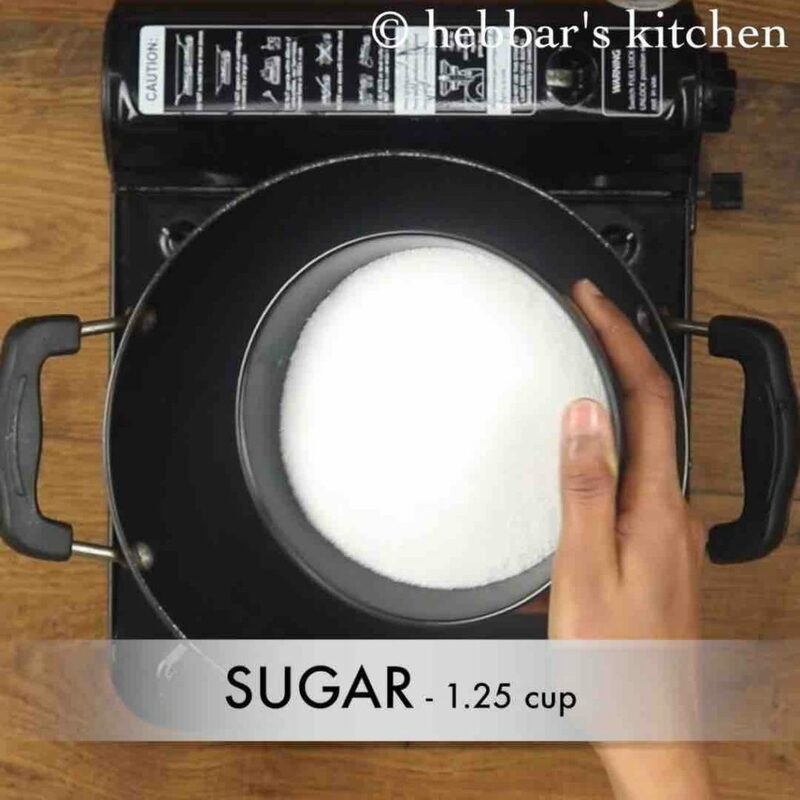 in a large thick bottomed kadai, take 1¼ cup of sugar. to that add ½ cup of water and mix well till the sugar dissolves. mix well and allow to boil till you attain 1 string consistency. once the sugar cools slightly (about 5 minutes), pour over prepared boondi. 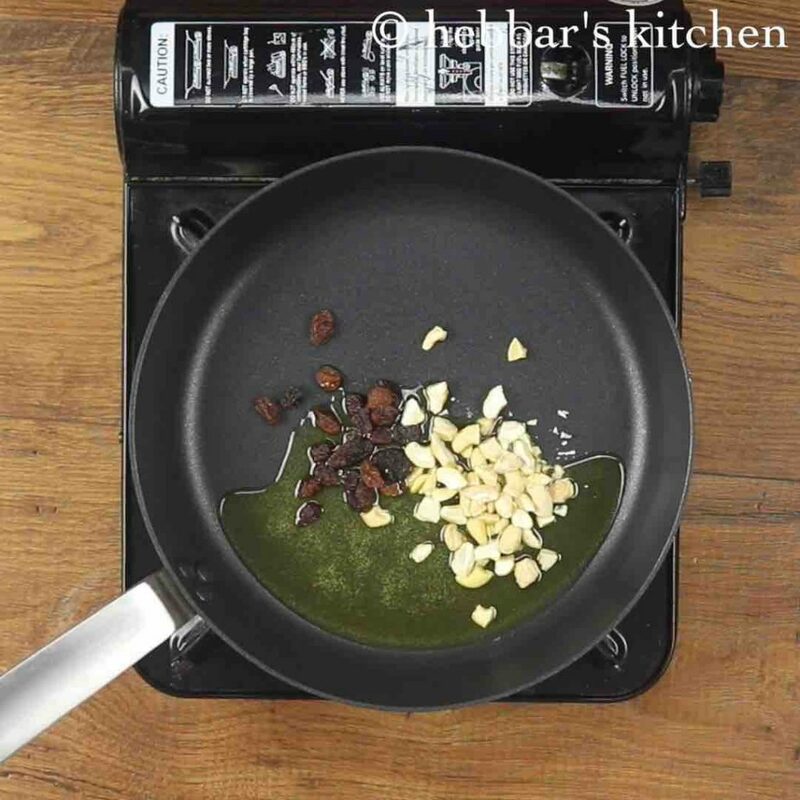 also roast 2 tbsp raisins, 2 tbsp cashew and 5 cloves in 1 tbsp ghee. 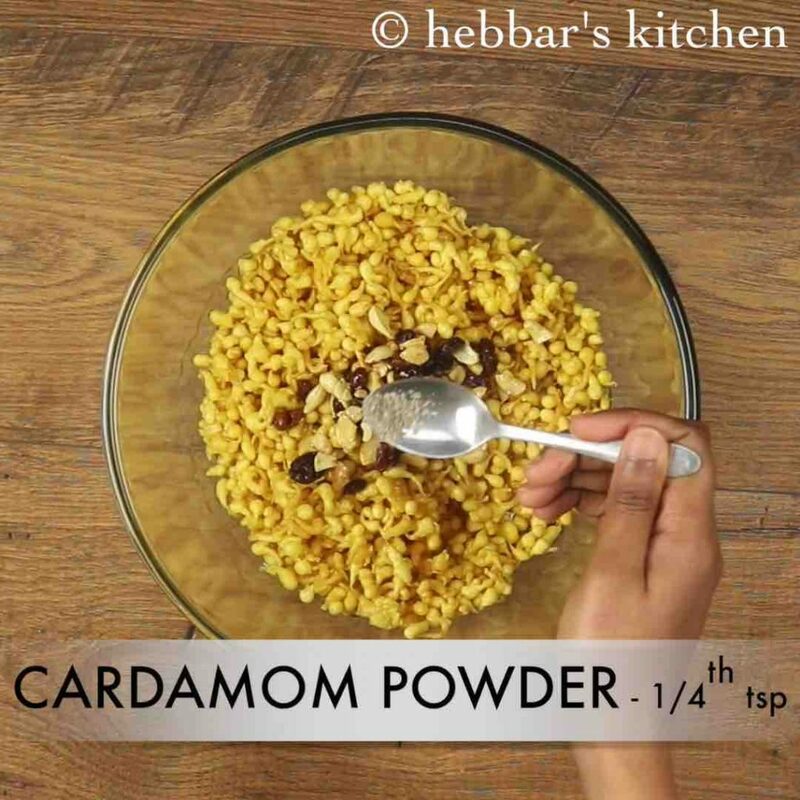 pour the roasted dry fruits over boondi mixture along with ¼ tsp cardamom powder. mix well with the help of spoon till the sugar syrup is absorbed. when the mixture still lightly warm, prepare ladoo. finally, offer boondi ladoo to god or store in an airtight container once cooled. 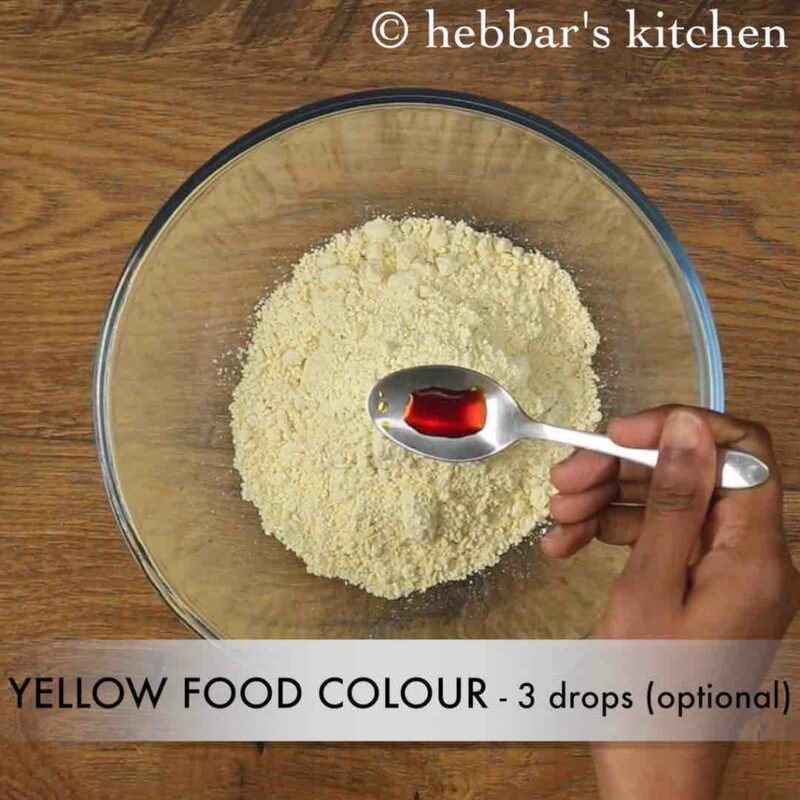 firstly, in a large mixing bowl take 1 cup besan along with 3 drops of yellow food colour. 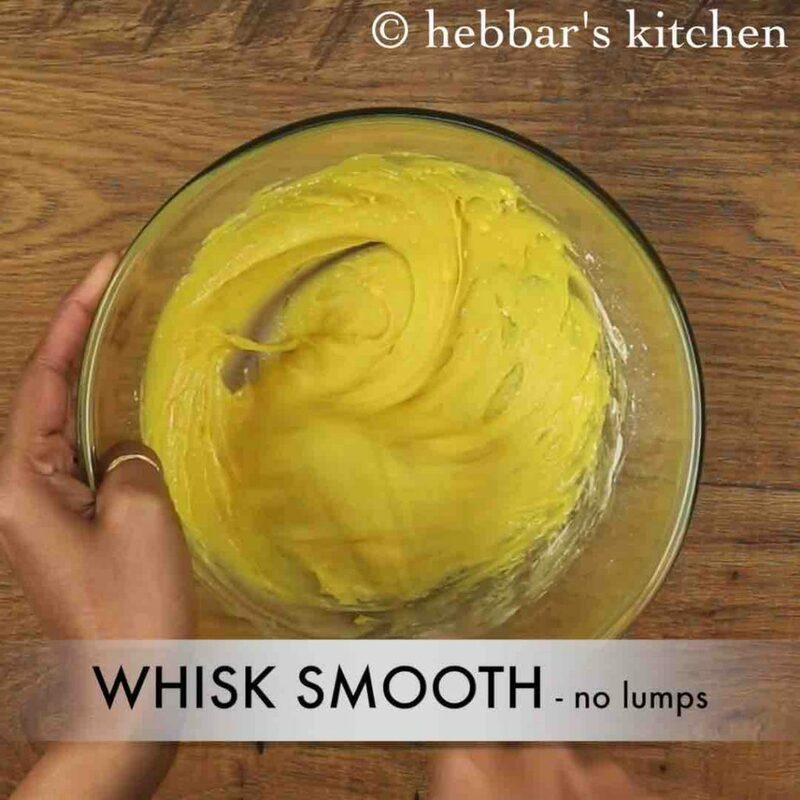 also add ¼ cup of water and whisk smooth without forming any lumps. 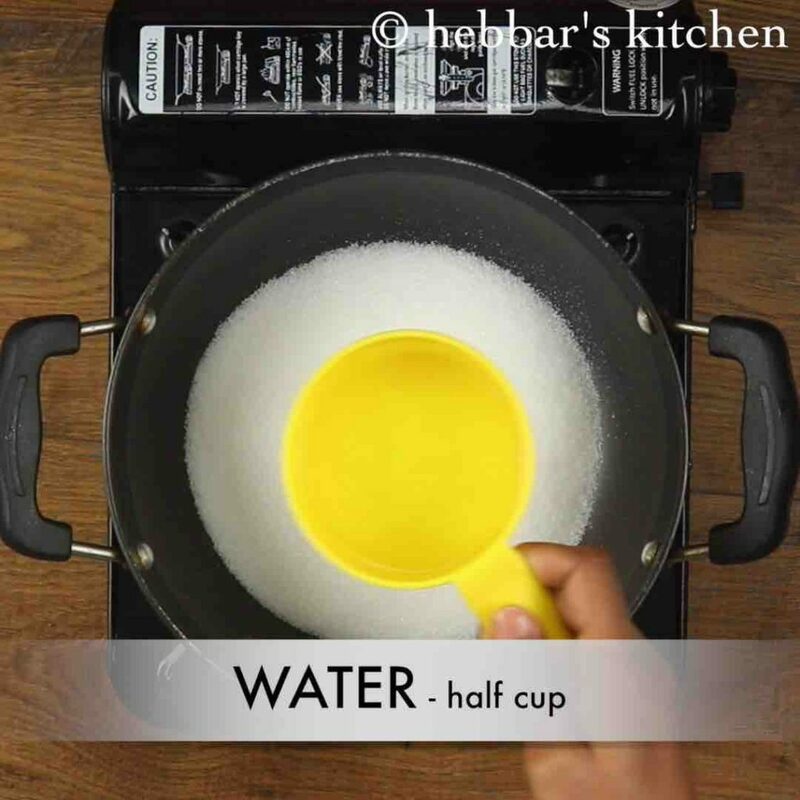 add more water as required and prepare a thick flowing consistency batter. 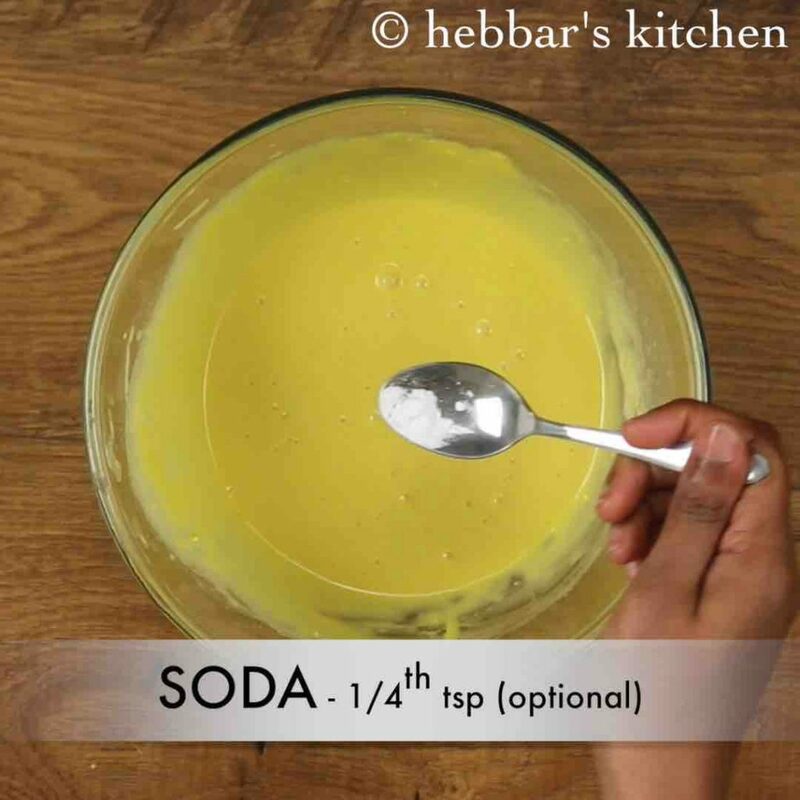 now add ¼ tsp baking soda and give a light mix. 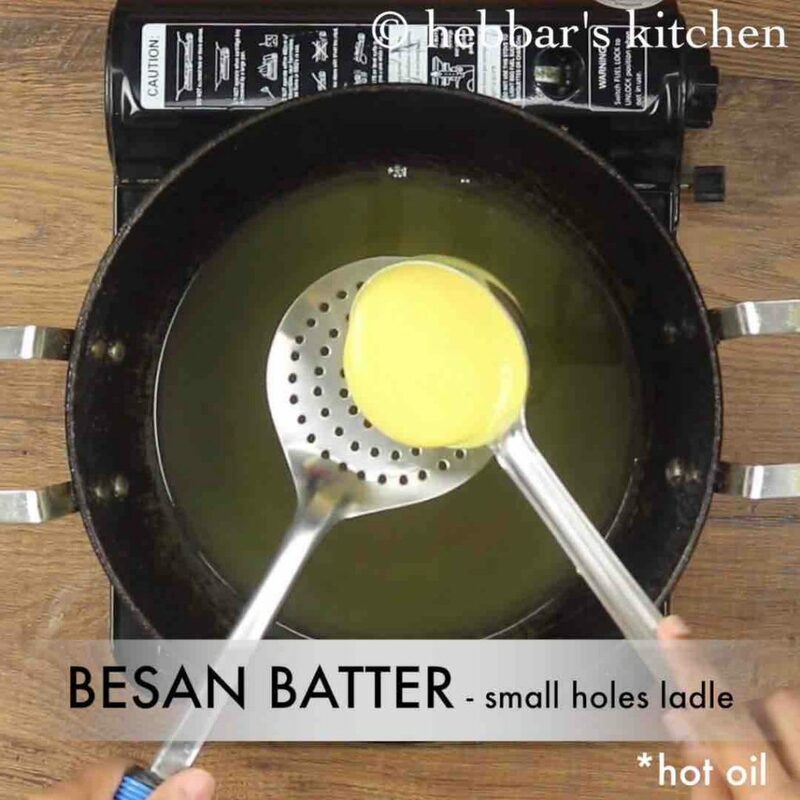 take small holes perforated spoon and pour prepared besan batter. 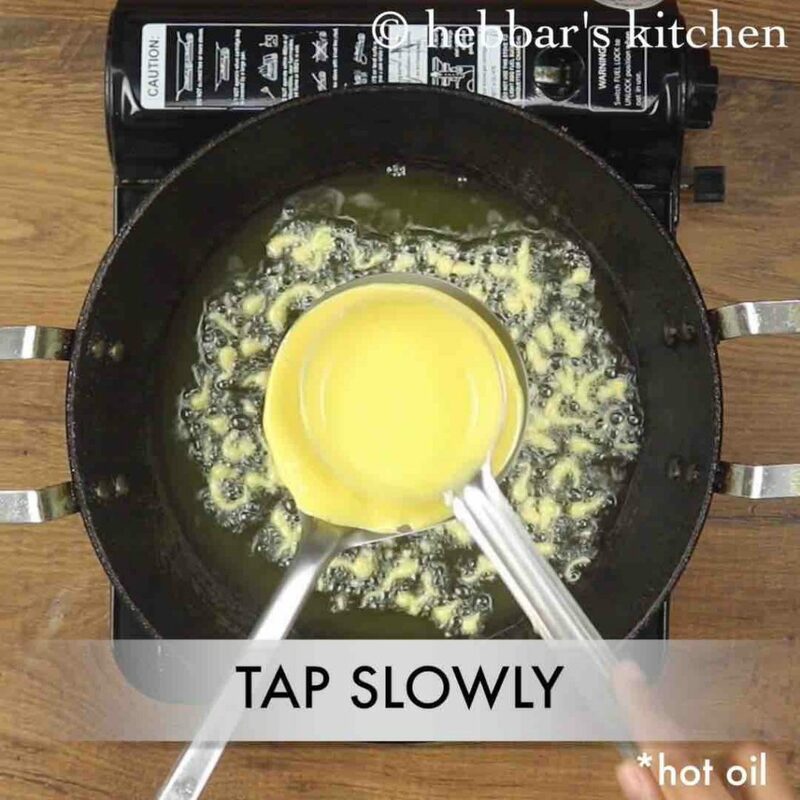 slowly tap with the help of spoon, making sure the drops of besan fall into oil. do not over crowd the boondis in oil. 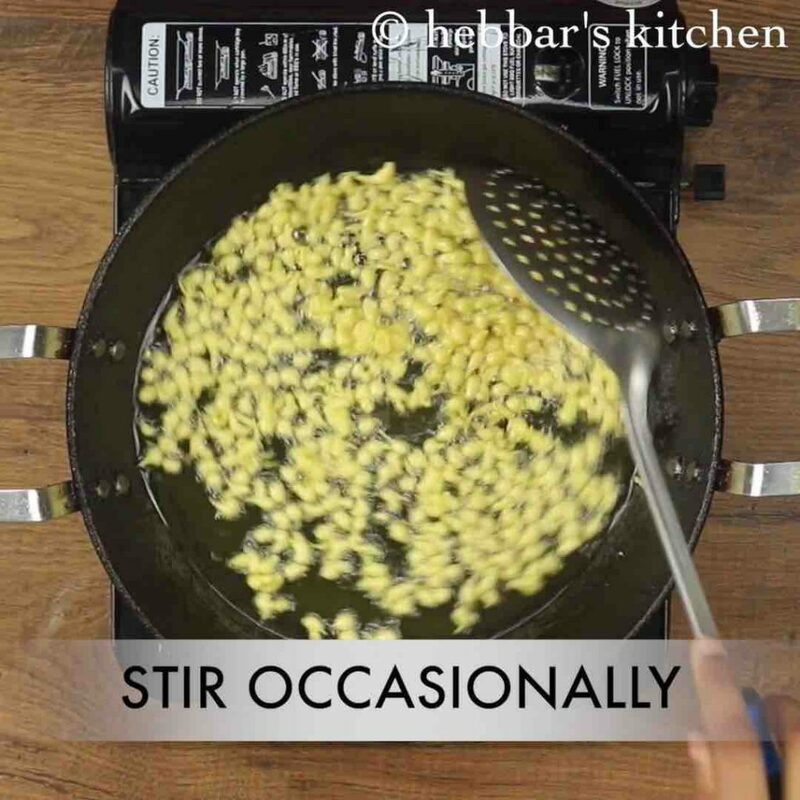 stir occasionally and once they are almost crisp, take off and drain over the kitchen paper towel. mix well and allow to boil till you attain 1 string consistency. do not touch the sugar syrup with bare hands as it will be very hot. make sure to dip your fingers in cold water before you check for consistency. 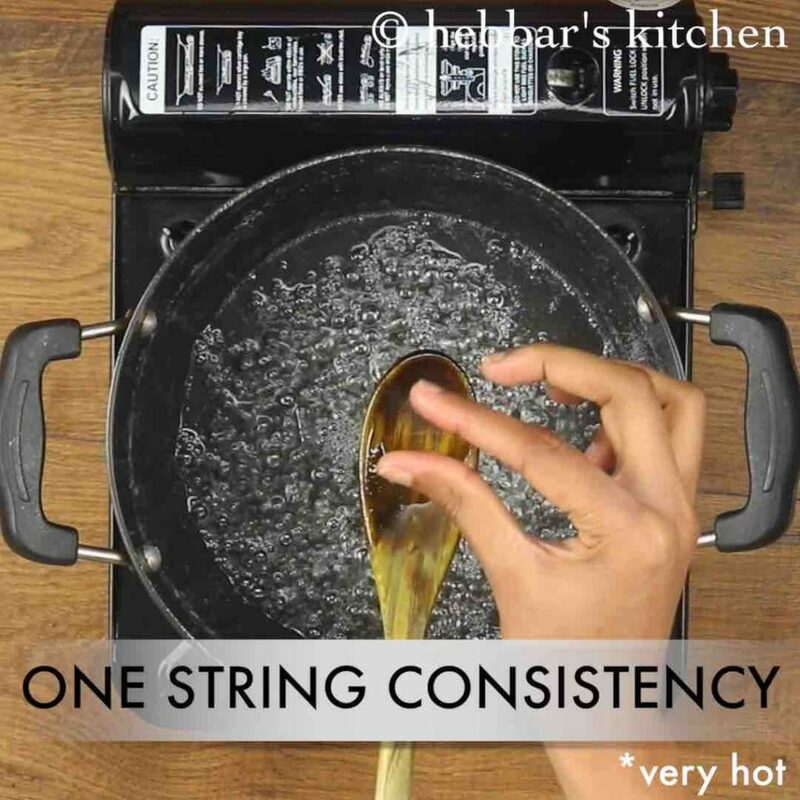 firstly, make sure to attain 1 string consistency sugar syrup, else its difficult to shape ladoo. also, add camphor and sugar candy for more traditional flavour. 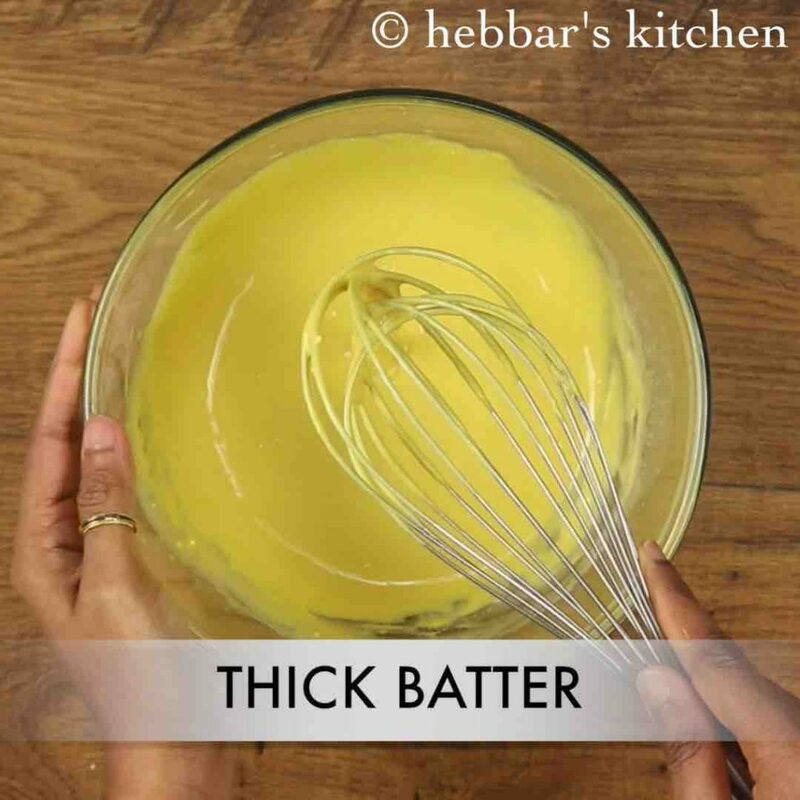 additional, adjust the consistency of besan batter by adding water as required. finally, boondi ladoo stays good for a week when stored in airtight container.